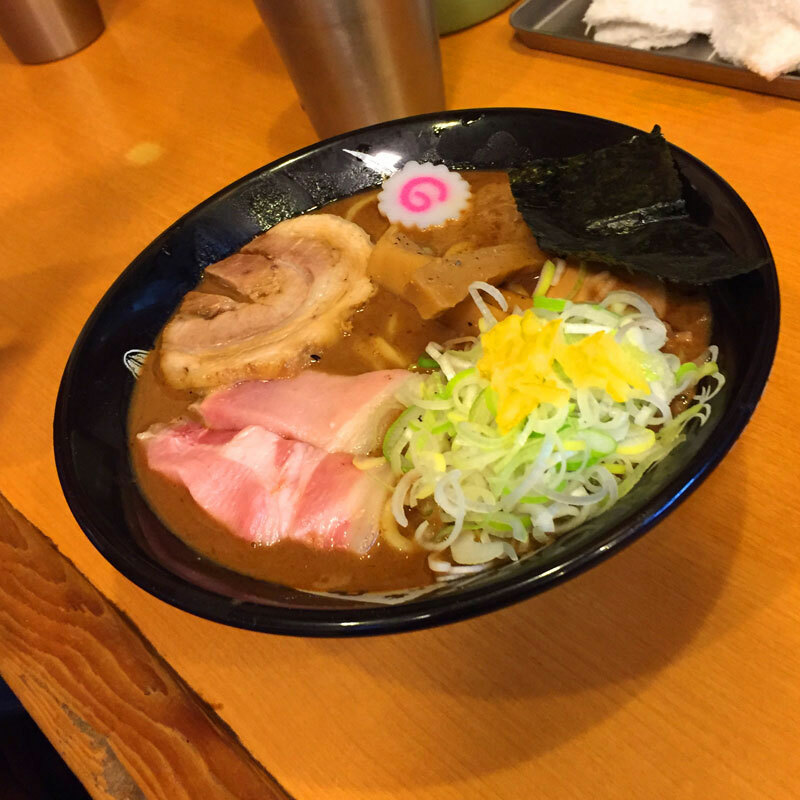 Tomita is one of the most famous tsuke-men restaurant in Matsudo, Chiba prefecture. If you visit Japan you have to visit here once. 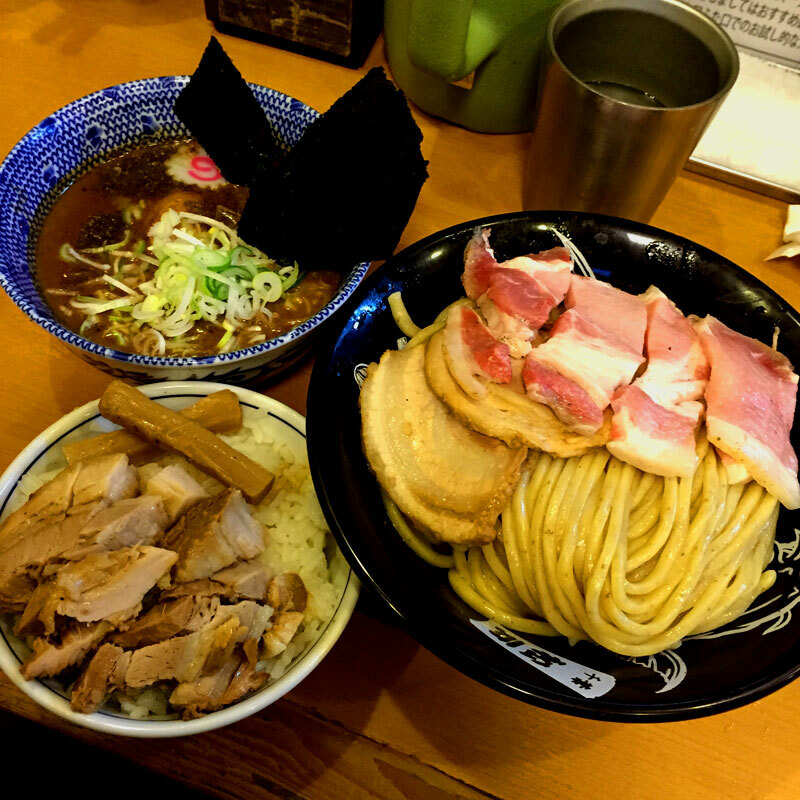 You will be a slave of soup, noodle, toppings and everything of this tsuke-men. Don’t miss it. The exterior has Japanese taste looking. As you can see several people in front, you will have to wait around 1 hour to get in. 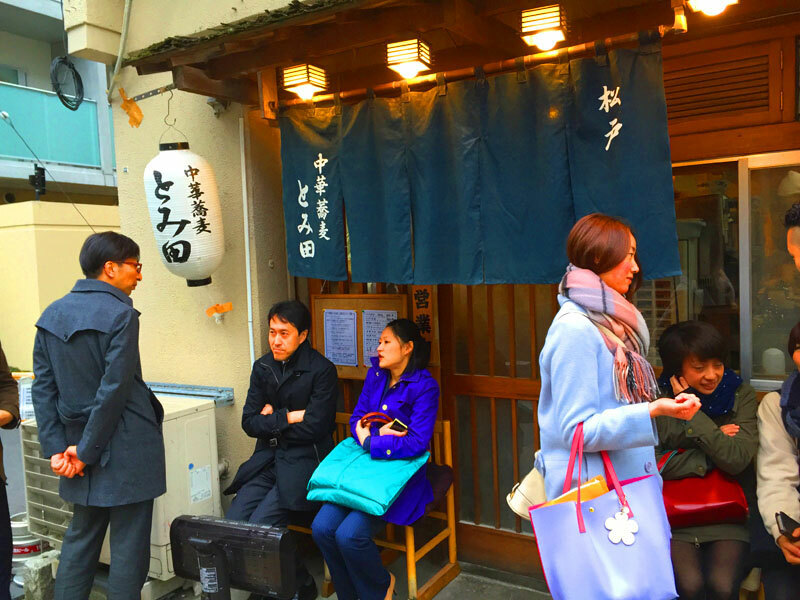 To order ramen here, you have to come to this restaurant and write your name. Clerk will tell you the time when you can get in depends on the number of former customers. And coming back here on the designated time. This time, I waited for 1 hour to get in. But this tsuke-men is much more worth than waiting 1 hour. 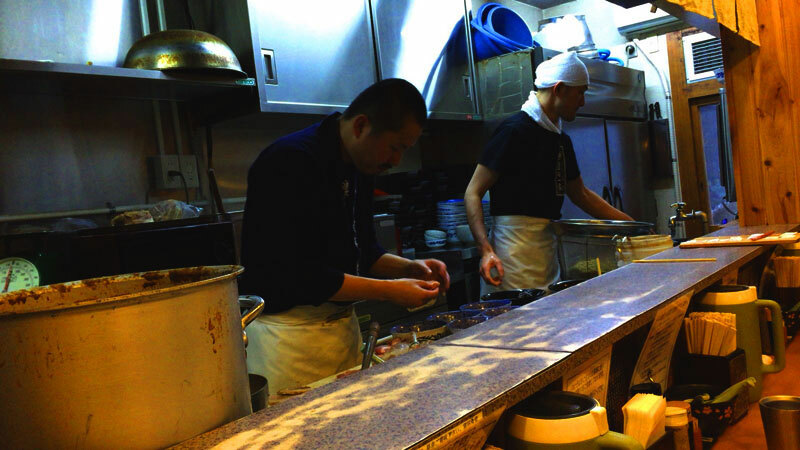 Tomita making incredible ramen with a few members. There are 10 seats inside. Soup: fishery broth and pork born broth based soup. mushy and very rich taste of soup are well entwined with noodle. Noodle: this Tomita’s original noodle is made with particular Hokkaido flour. It has great fragrance and springy texture. Toppings: 6 roast pork on the top. Red roast pork are cooked with low temperature. 2 different cuisine of pork will give you excitement and satisfaction. Roast Pork Rice: there are several pieces of roast pork and pickled bamboo shoots. You can never miss rice whenever you eat ramen or tsuke-men. Tomita also serve ramen. 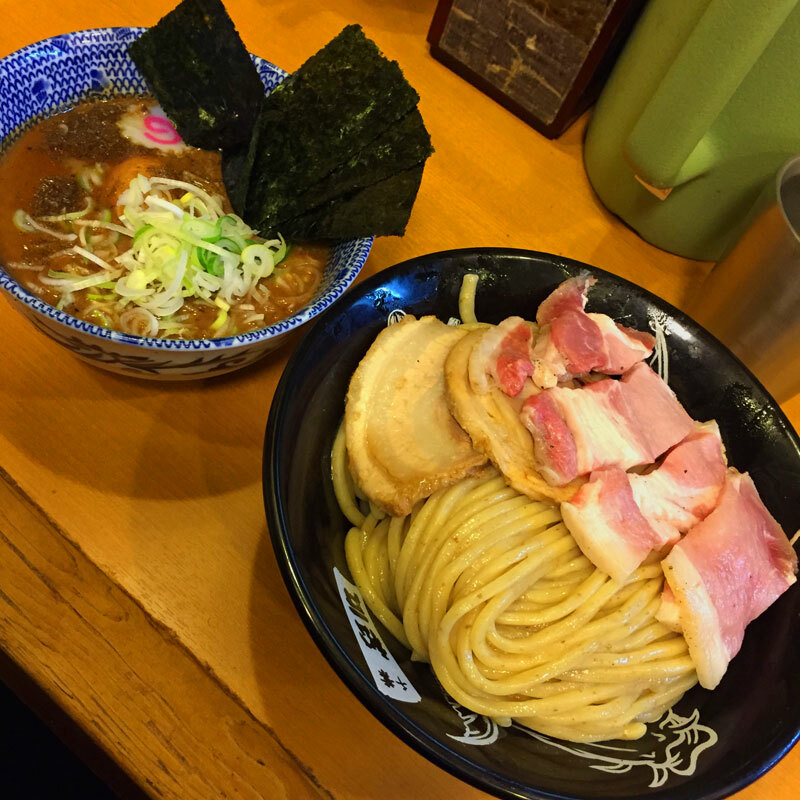 The noodle and topping is same as basic tsuke-men. But ramen is composed by one bowl. This mainly focused on its harmony. Therefore, the soup is being bit milder than tsuke-men style. You will be impressed with both ramen also, but I recommend tuke-men more.